System requirements: 1 GHz or higher PC, 512 MB or higher RAM, Windows, Windows Media Player, video adapter, sound card. On the title page: The Presidential Library and the Krasin Museum present the icebreaker Krasin: 100 years in the history of Russia. The film tells about a joint exhibition prepared by the Presidential Library and the Krasin Museum for the centennial anniversary of the ship. The video tour introduces the history of the icebreaker, with its working days and exploits . I. Evseeva, Marina Igorevna. II. Pazovnikova, Elena Vladimirovna. III. Raytsev, Nikolai Yakovlevich. IV. Fedotova, Natalia Valentinovna. V. Loginova, Nina Nikolaevna. VI. Maryvskaya, Maria Vladimirovna. VII. Kozlov, Oleg. VIII. "Icebreaker" Krasin ": 100 years in the history of Russia", exhibition (St. Petersburg, 2017). IX. Presidential Library (St. Petersburg). X. "Krasin Icebreaker, a branch of the Museum of the World Ocean in St. Petersburg.1" Icebreaker Krasin: 100 years in the history of Russia ", exhibition (St. Petersburg, city, 2017) - Multimedia publications 2." 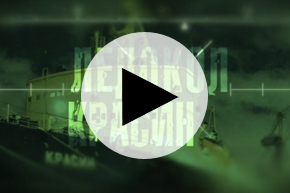 Krasin ", icebreaker - History - Multimedia publications 3." Krasin "icebreaker, a branch of the Museum of the World Ocean in St. Petersburg - Multimedia publications. 4. Territory (collection). 5. Development of the Arctic (collection). 6. Video tours.